Item Name ISO Capacity Clamping Range Collet Size d1 l1 Comp. Exp. BT50 ER 16 09.. Item Name ISO Capacity Clamping Range Collet Size d1 l1 Comp. Exp. BT50 ER 20 10.. Item Name ISO Capacity Clamping Range Collet Size d1 l1 Comp. Exp. BT50 ER 25 11.. Item Name ISO Capacity Clamping Range Collet Size d1 l1 Comp. Exp. BT50 ER 32 12.. Item Name ISO Capacity Clamping Range Collet Size d1 l1 Comp. Exp. BT50 ER 40 12..
What is BT50 Milling Lathe Chuck? 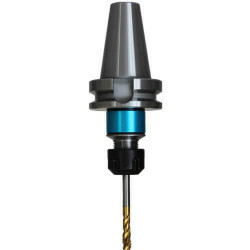 Where can I buy BT50 Milling Lathe Chuck Online?